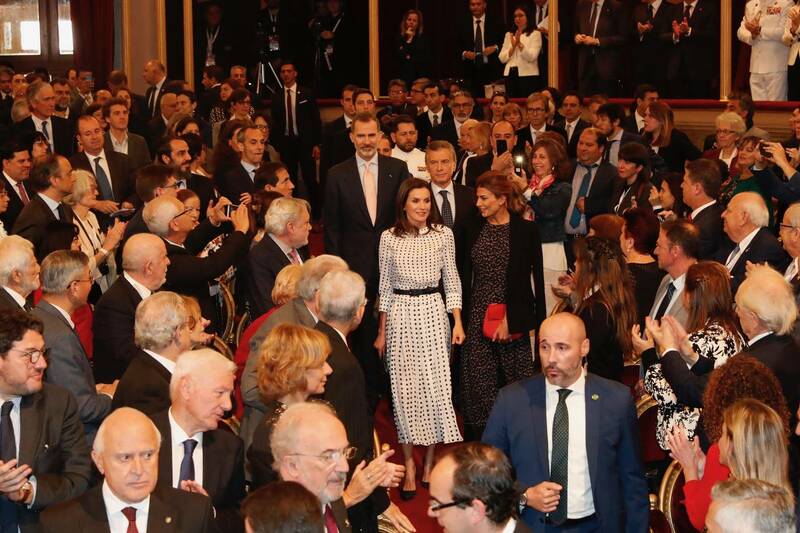 On the end of State visit to Argentina, King Felipe and Queen Letizia of Spain presided over the VIII International Congress of the Spanish Language, which will be held in Córdoba from March 27 to 30. 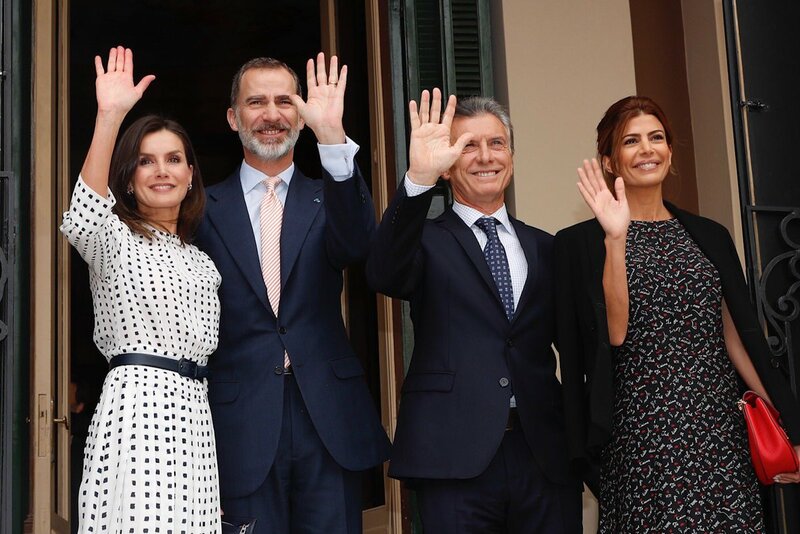 They were joined by the President and First Lady of the host country. The event will bring together more than 200 writers, academics, experts and professionals from all over the Spanish-speaking world who will debate around the motto “America and the future of Spanish. Culture and education, technology and entrepreneurship “. 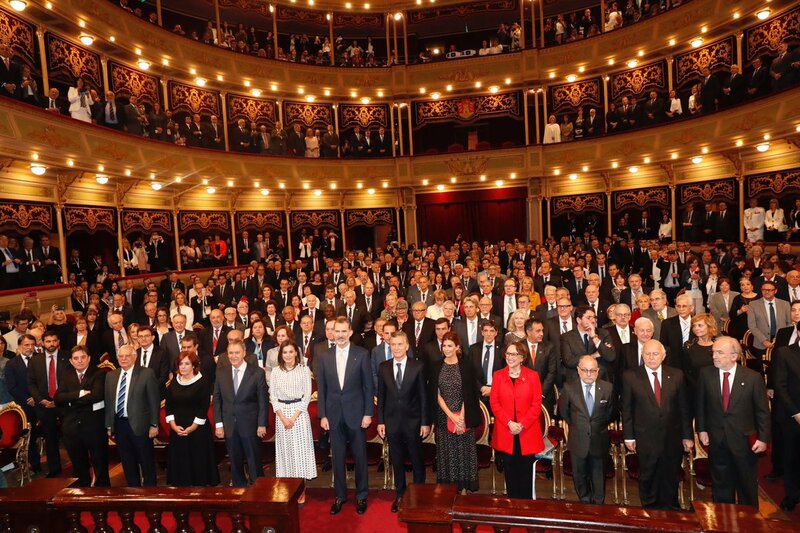 The Congress is part of the series of international congresses promoted by the Cervantes Institute, the Royal Spanish Academy (RAE) and the Association of Academies of the Spanish Language (ASALE) and, on this occasion, also by Argentina as the host country. The sessions was organized around five thematic sections or axes: “Spanish, universal language”, “Language and interculturality”, “Challenges of Spanish in the education of the 21st century”, “Spanish and the digital revolution” and “The competitiveness of Spanish as a language for innovation and entrepreneurship”. 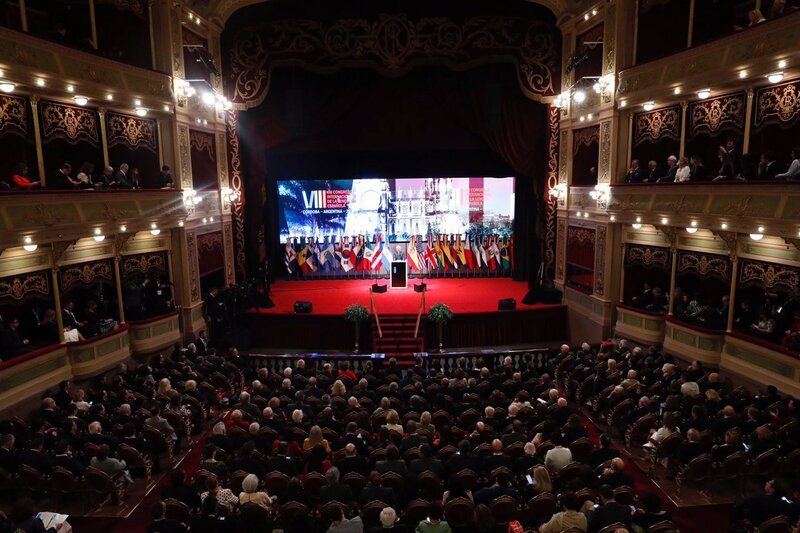 Each section was organized in a plenary session that begins with a general presentation, followed by one or two round tables discussions among several panels that deal with a sectorial approach to the issues under discussion. Issues such as the Ibero-American future of Spanish, the incidence of digital technologies, the economic value of Spanish, the challenges of cultural industries, language tourism, translation, linguistic miscegenation, exiles, teaching Spanish and his literature or Judeo-Spanish, among many others were discussed. 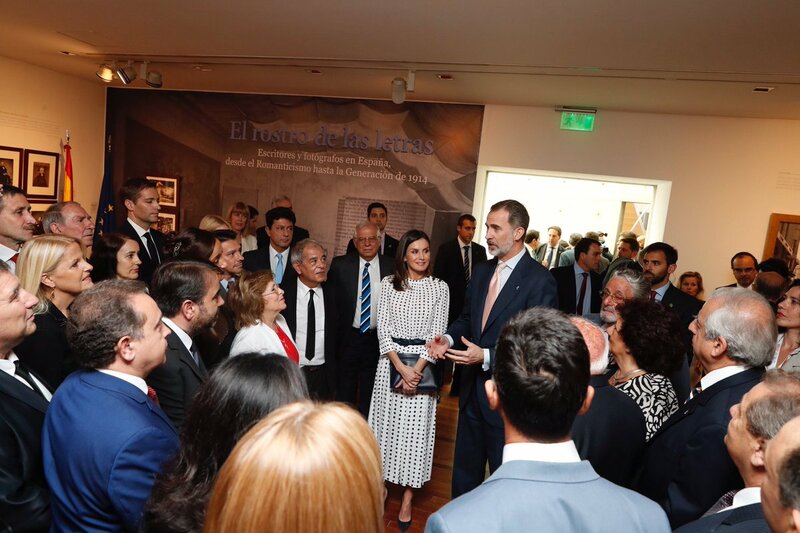 After the congress, the royal couple visited the Provincial Museum of Fine Arts Emilio Caraffa, where they received in audience the Spanish Community resident in Cordoba. 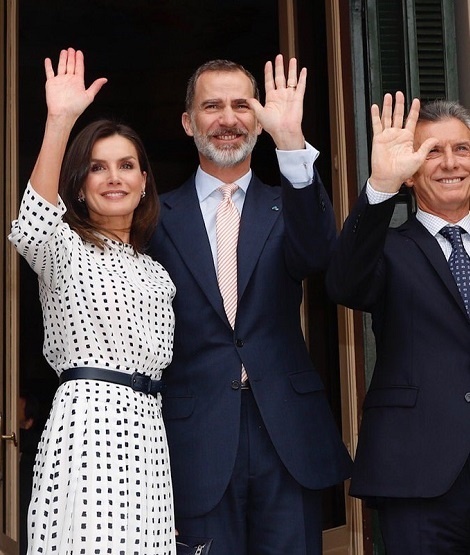 For the last event of the state visit, Queen Letizia repeated a very elegant monochrome look. 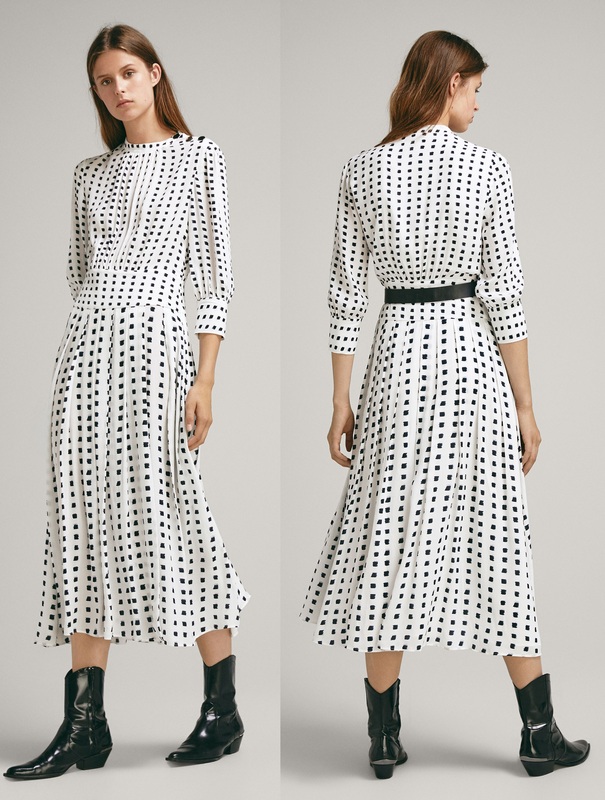 She was wearing pleated dress with two tone print from Spanish label Massimo Dutti that she debuted during a visit to Salmanca in September 2018. 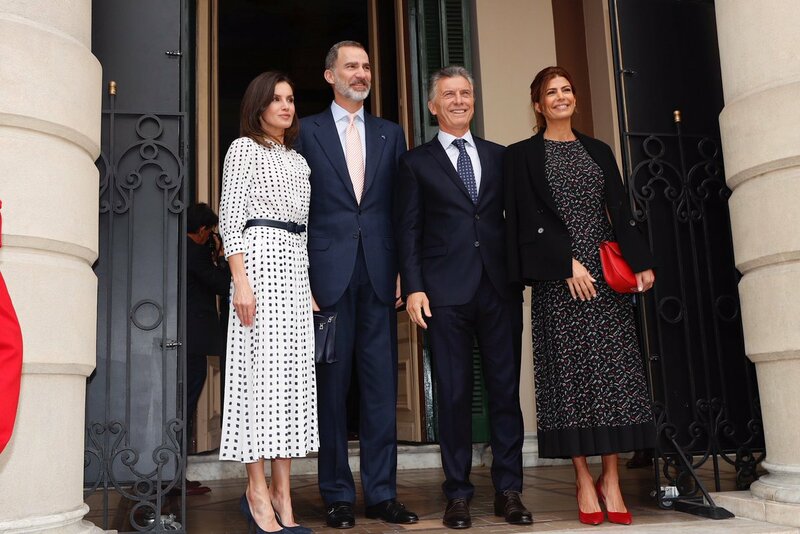 Letizia once again paired the dress with contrast blue accessories. She topped the dress with leather belt. 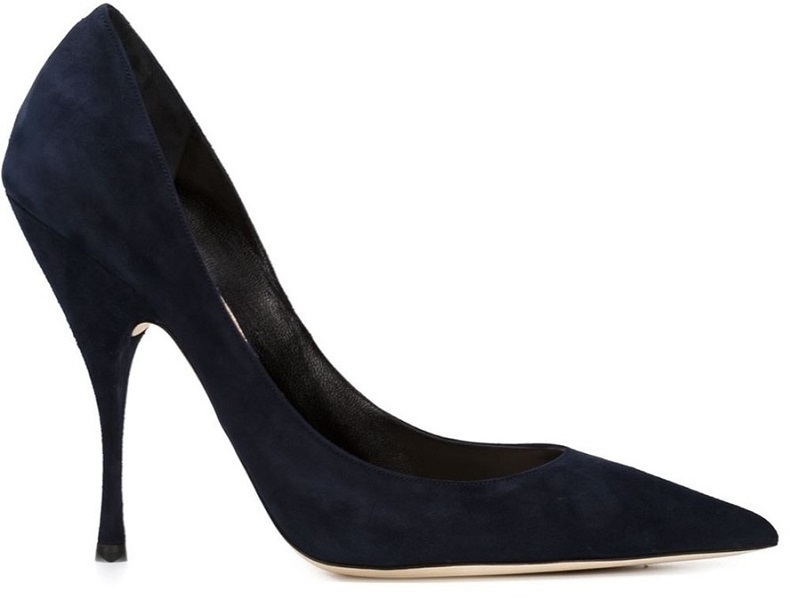 She paired the dress with her blue Nina Ricci pumps. 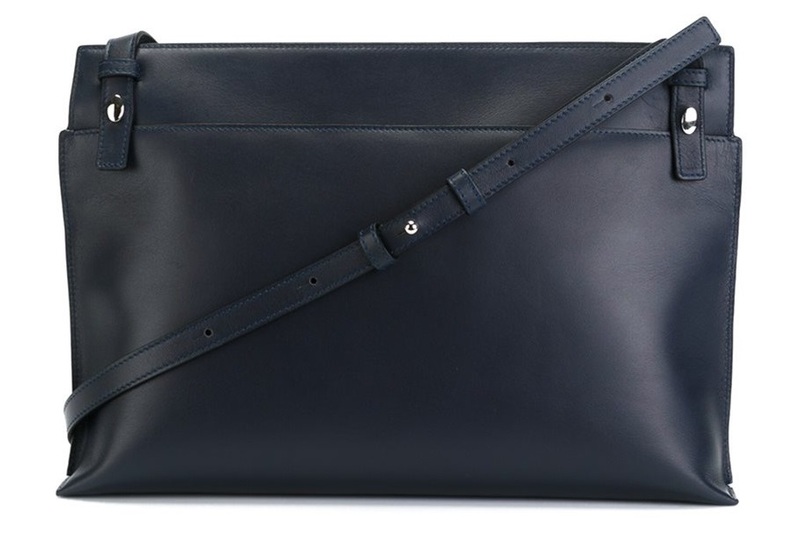 and carried a blue Loewe large double pouch hand bag. There is a discussion that it could be a new bag but I believe it is the old bag that she has since November 2015. Embed from Getty ImagesShown here. Her Aquamarine diamond earrings from Bvlgari finished the look.